Undertale is a very popular video game. Richard Cobbett rated it highly and he wasn’t alone: it was one of the most critically acclaimed games of 2015, rivalling the likes of The Phantom Pain and The Witcher 3. There’s a vocal minority who hate it of course, but that’s to be expected when a whimsical retro-styled RPG gains so much popularity. Especially one where you don’t have to kill anything. 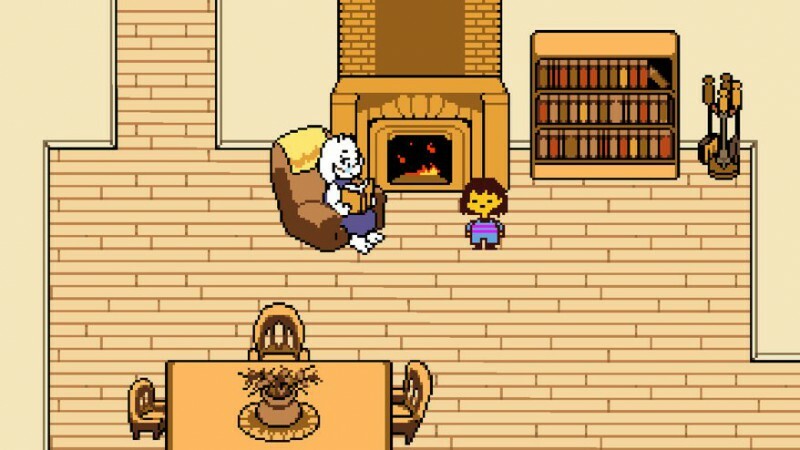 At this stage, Undertale doesn’t really need much more promotion: it’s become a phenomenon. Creator Toby Fox must be aware of this, because the ‘reviews’ section on the Undertale Steam page is among the driest I’ve ever seen. Some of those quotes (particularly the Destructoid one) are taken a bit out of context, but sometimes that’s okay in the interests of a laugh. Nothing is perfect, not even Undertale.